This year, take both a passenger-carrying container ship and a cruise ship on your voyage from the UK to Australia and spend five days (November 17-22) in Malaysia or Singapore between ships. Your first ship is CMA CGM’s 10-passenger container ship CMA CGM Magellan (left), where we have double cabins available for the 31-night voyage leaving Felixstowe on October 16 for Port Kelang (for Kuala Lumpur). Passengers dine together with the officers and are allowed to visit the bridge. 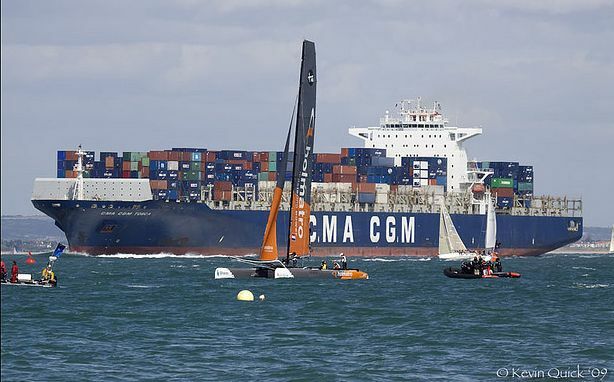 The 150,269-ton UK-flag CMA CGM Magellan was built in 2010 and is equipped with a passenger lounge, indoor swimming pool and gym with rowing machine, home trainer, darts and ping pong table. The spacious cabins are en suite and equipped with two or three windows, a sofa, easy chair, coffee table, office desk and chair and refrigerator. And in the ship’s dining room, table wine is included with lunch and dinner. Outside €3,100 (about £2,345) per person double, €3,410 (about £2,580) single. Passengers taking advantage of these two connecting sailings are responsible for their own land arrangements in Malaysia and Singapore. 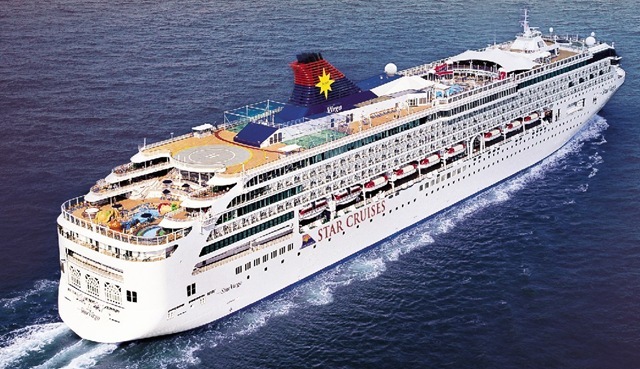 Then five days after arriving in Port Kelang, it is time to catch Star Cruises’ once-only sailing of the 75,338-ton 1,870-passenger SuperStar Virgo (right) for onward connection to Sydney. She is due to arrive on the morning of Wednesday, December 9, well in time for Christmas. As a bonus, there is a choice of a drinks package or a dining package on the SuperStar Virgo .voyage between Singapore and Sydney. 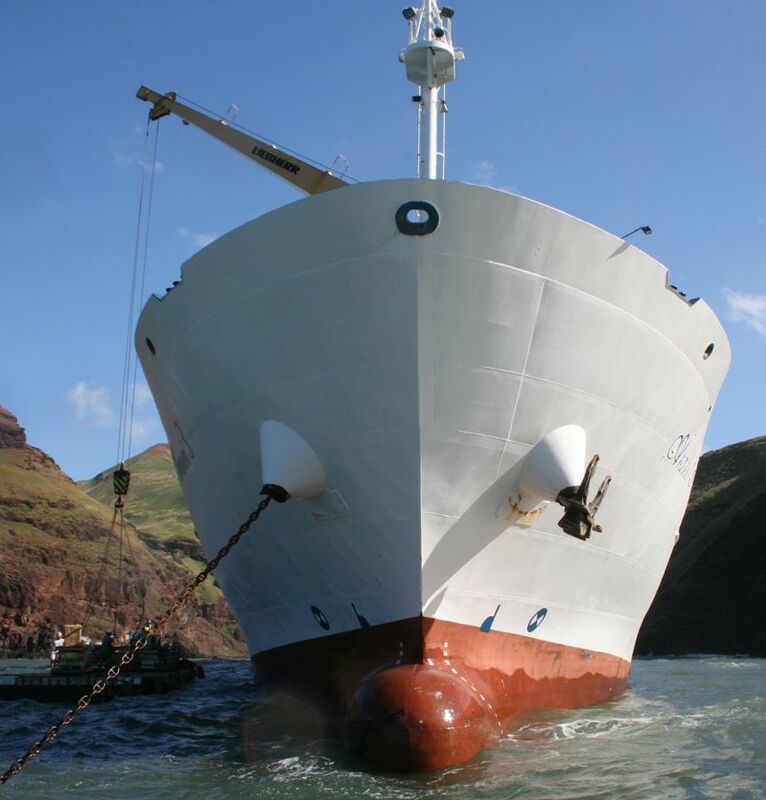 If you want to sail all the way from the UK to Australia on two different types of ship then this is your opportunity. Overlanders are also welcome to join the SuperStar Virgo at Singapore. For details please call The Cruise People Ltd in London on +44 (0)20 7723 2450 or e-mail cruise@cruisepeople.co.uk. Three ships, the CMA CGM Figaro, CMA CGM La Scala and CMA CGM Tosca (shown right), now offer an interesting itinerary between New York and Seattle, as well as Vancouver BC, via the Suez Canal. 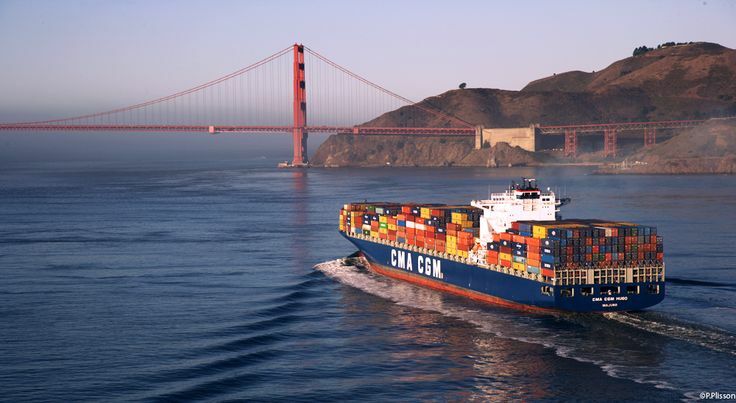 Known as CMA CGM’s Columbus Loop, the full 112-day round voyage is made via ports in the Far East. Eastbound, ships leave New York via Norfolk and Savannah and sail directly to Tanjung Pelepas, a port in Malaysia located just across the water from Singapore. Calls are then made at Hong Kong, Yantian and Shanghai before proceeding to Pusan, in South Korea, and on to Seattle and Vancouver. The return voyage is made from Vancouver to Yokohama and then calls at the Chinese ports of Shanghai, Ningbo, Hong Kong and Yantian before returning to New York via Tanjung Pelepas. Voyage time from New York to Seattle is 60 days and from Seattle to New York 52 days (Vancouver to New York is 49 days). This voyage is for those who love the sea, the longest transit being 32 days from Savannah to Tanjung Pelepas (on the return, Tanjung Pelepas to New York is 23 days). The new routing retraces the route of the first World Cruise, which was offered by Hamburg America Line’s Cleveland before the Panama Canal had even been opened – but takes half the time. 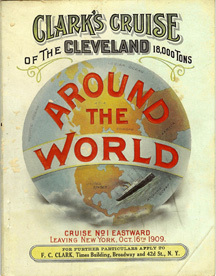 Chartered by Frank C Clark of New York, an early cruise organizer, the Cleveland left New York on October 16, 1909, and took 108 days to proceed across the Atlantic to ports in the Mediterranean, Suez Canal, India and the Far East before finishing the world’s first Round-the-World Cruise in San Francisco on January 31, 1910. Passengers then returned to their homes from the West Coast by train while the Cleveland retraced her steps on a second world cruise. Equally, passengers taking the new Columbus Loop cruise can travel around the world in either direction and complete their circumnavigation in less than two months by making the rail journey across North America. 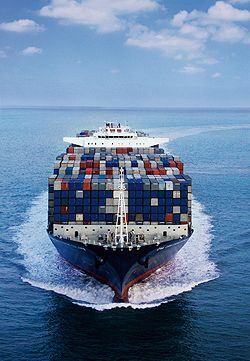 The CMA CGM Figaro and CMA CGM La Scala carry seven passengers each in three double cabins and one single, with fares set at €80 per person per day or €90 per day for sole occupancy of a double cabin. 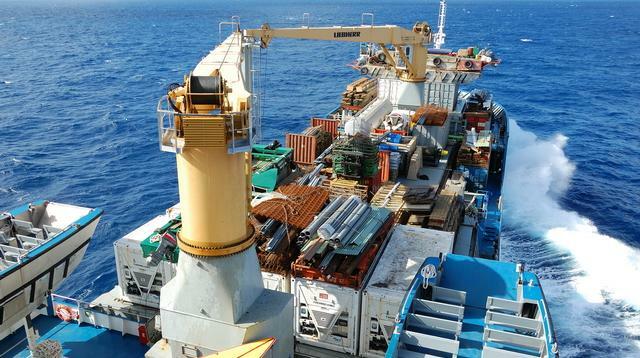 The CMA CGM Tosca carries up to eight passengers in three double cabins and two singles. Fares include full board, port charges, deviation insurance and complimentary French table wine with lunch and dinner. Part voyages are also possible but the full 105112-day round voyage starts at €8,960 (about $11,895 or £7,490). New York to Seattle is €4,800 (about $6,375 or £4,015) for 60 days and Seattle to New York is €4,160 (about $5,525 or £3,475) for 52 days.